As we enter a new year, the need for culture optimization is greater than ever. Organizations face an unprecedented need for strong cultures and increasing demand to deliver results, outcomes, community and attraction to top talent. The solution? PEOPLE. 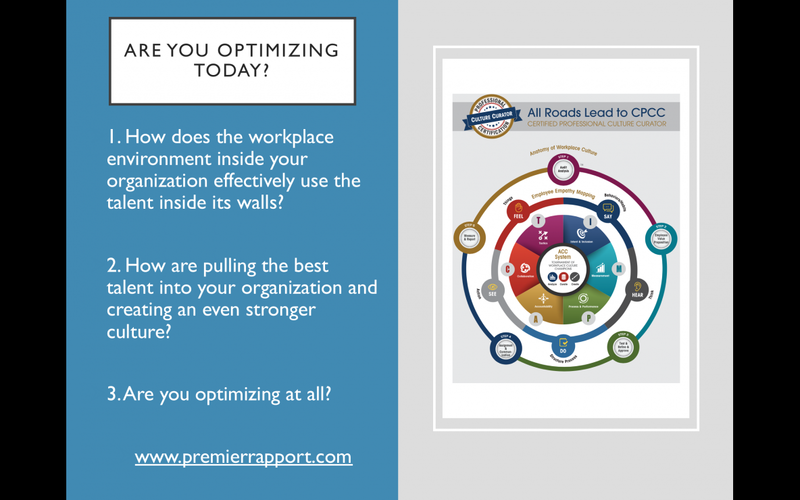 People are at the top of how you optimize your culture and it is your talent optimization that is KEY to how organizations will thrive and expand in 2019. People-focused organizations, regardless of size are primed for greater success and longer term sustainability than those focused solely on profits. But it takes more than a tag line, value or mission statement saying your company has its PEOPLE first…it is in the actions. 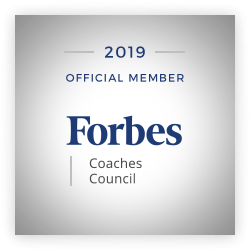 In 2019, we need leaders and an agile teams intentionally focused on their people, every single day. Companies are frustrated with how hard it is to keep top talent, and to keep them engaged and productive while they’re there. In 2019, America is enjoying the lowest unemployment rates since 1969 according to Bureau of Labor Statistics, which ushers in what we call an EMPLOYEE’s market. The employee has more choices than ever before. They’re not afraid of leaving. They want career growth, community, balance and more. Culture optimization is the far more than data. It is a process by which you seek specific talent, behaviors, experiences that are 100% aligned to your vision, mission, value and culture statements. You create engagement, and retention through inclusion. To begin a conversation on culture and talent optimization today, you need to understand and agree that you can’t create the right strategies, fully execute them, and create the cash flow needed, if you don’t have the right people to begin with or you can’t attract or retain them. Here are a few points and questions to add to the foundation of our discussion. What are you intentionally focused on? What processes are you using to get there? What does accountability look like, sound like, feel like? Who are you collaborating with? Are you being agile? And creating Agility? What timelines, milestones do you have set? What does your current talent think, feel, see, say? Are you rewarding aligned behaviors? Are you filling your gaps and blind spots in your talent? Does everyone know what success is? Can they point to it? Speak about it? Are your daily actions congruent with those of your team? Are you running fast alone or with your team to move forward? Is your culture described the same no matter who you ask in your company? Does that description align with your mission, vision, value, culture statements? Are you strategies right, being fully executed and creating the flow of profit desired? Are you fighting fires or proactively building innovation for the future? Culture optimization doesn’t happen overnight. 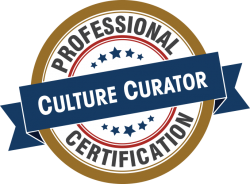 Becoming a Culture Curator (CPCC) isn’t just a professional certification. It allows you to see through the stress, the fog, the fire-fighting to help PEOPLE be successful and your team, your organization to be successful and level up to further optimize. It does start with a vision, a passion, and the TALENT. It is a way up and a way out to the future. It is not one dimensional but rather 4-D.
For over 35 years I have observed and participated in the changing workplace environments, the socialization or lack thereof and it is time for organizations to place more value on its people as people. Moving from liabilities to full assets and treating them as such. People provide answers. It does require change, buy in, vision, right talent, agility and involving people in solutions by design not accident. Shelley D. Smith is a best-selling author, consultant and founder and CEO of Premier Rapport consulting firm. Her experience over the past 35+ years has earned her a reputation as the creator of the culture inquiry in businesses all along the East Coast and beyond. Her success stems from the strength of her personal approach, asking tough questions to hone in on pain points and areas of growth opportunity. For more information about the ACC system, IMPACT model, EEM, AoWC processes, Predictive Index, becoming a CPCC and Culture Inquiry click here. You can also download for free Shelley’s popular e-book, How to Avoid Culture Big Fat Failures (BFF).